Even as headline inflation slumped to 2.2 per cent in Dec, there is a clear break in the data series which begs a serious introspection. 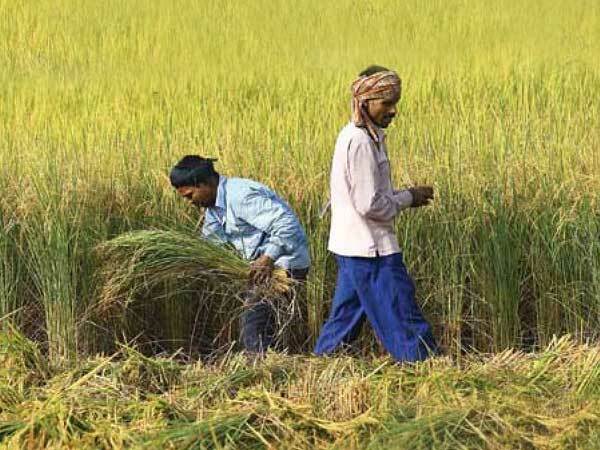 Rural headline inflation has slumped to 1.65 per cent in Dec’18, but core rural CPI has jumped to 6.34 per cent (stripping aside such statistical artefact, rural inflation would have been at 1.25 per cent in Dec’18 and headline CPI at less than 2 per cent, implying significant de-growth of rural demand, as shown by two-wheeler vehicle registrations’ growth on a sequential basis at negative 24 per cent!). Strangely, urban core CPI has declined to 5.26 per cent during Dec’18. Such contrarian movement in urban core and rural core is bemusing as over a 7-year period, correlation between the rural and urban core was at 0.85. We need to observe this trend in rural core. In the past Rural and Urban Core have moved in opposite directions on only two occasions and such period of recurrence was 4-5 months. By this logic, any upward movement in rural core CPI beyond Jan’19 would mean a decisive structural break / data issues? We understand from informed sources that there has been an increase in the prices of medicines. But to us, a more compelling reason is change in methodology from Sep’18 in terms of data collection in rural areas where, as against the earlier practice of collecting data through Post Offices, the NSSO is now collecting data itself. There are about 100 Regional Offices of NSSO, which are now collecting the data. We believe, this additional work with the same set-up would take some time to stabilize and this may be one of the reasons for the observed aberrations in the data. Also the earlier rural data collected by post offices used to be validated. Now because NSSO is collecting data itself, it is possible that there may be absence of self validation, thereby leading to data discrepancies. There may also be changes in the specifications of a product, which might be causing changes in numbers. However, to be fair to CSO, the new data collection methodology might also be resulting in better price discovery that was hitherto absent. A clear example is capture of private tuition fees in states like West Bengal that could also be used as a policy input. We are now concerned that this data aberration could obfuscate policy choices. In fact, except for this rural core is displaying the same trend as rural non-core. This is more so because services inflation barely displays idiosyncratic behaviour as that of rainfed seasonal agricultural crops. Policy choices, both fiscal and monetary, therefore must be informed by methodologically consistent inflation data. For the record, we expect a stance change in February policy, but a rate cut in April if the RBI decides to look through the data! Even as headline inflation has slumped to 2.2 per cent in Dec, there is a clear structural break in the data series that seems to have emerged and which begs a serious introspection. Rural headline inflation has slumped to 1.65 per cent in Dec’18, but core rural CPI has jumped to 6.34 per cent (education and health contributing cumulatively to 50 bps increase in weighted contribution: stripping aside such statistical artefact, headline inflation would have been at 1.99 per cent in Dec’18). Strangely, urban core CPI has declined to 5.26 per cent during the same month. Such contrarian movements in urban core and rural core is bemusing as over a 7-year period, there has been a positive correlation between rural and urban core (0.85). ¨ Rural health inflation clocked a whopping 10.14 per cent in Dec’18 vis-à-vis 4.93 per cent in Dec’17. The urban areas however witnessed a decline in health inflation. The components that pushed up overall health inflation are hospital & nursing home charges and medicine (non-institutional). There could be 2 reasons for such. First, mmedicine prices have increased since Oct’18. With better facilities available post implementation of “Ayushman’, there is a possibility that the generic medicines have been replaced by another ones with a relatively higher price tag. We understand from informed sources that there has been a normal increase in the prices of medicines (Allopathic, Homeopathic as well as Ayurvedic), which has also contributed to the increase and the same has been corroborated by the data collecting agencies by virtue of the quotations received by them for working out the inflation numbers. This is looking more pronounced because of the increase in prices due to supply constraint and API price increase. However, there are states where health prices have declined in recent months. Hence this argument is still not sufficient! We believe that there is a clear-cut case of data aberration in CPI-Rural (Heal and Education Category) in the Dec’18 month data release. The CPI Rural Health (m-o-m change) which had never breached its maximum mark of 1.37 per cent in past 90 months (Apr’11 to Sep’18) and a sequential average of 0.5 per cent, suddenly jumped to 3.43 per cent in Oct’18 and 3.09 per cent in Dec’18. Even the Oct and Dec numbers were way above the average + 3*standard deviation, indicating an occurrence probability of once in 333 months (27.7 years)! Similarly, Rural CPI Education, which grew by 3.26 per cent in Dec’18, was also much more than the average +3*standard deviation of past 90 months. If we analyse the Urban CPI (m-o-m change) for same category for the same period there was no such anomaly. The data for Oct and Dec were perfectly in consonance with the trend. Our reason for calling the CPI Rural Health data as aberration is the fact that sudden jump in prices of medicine, hospital & nursing home charges, other medical expenses, in one month (Oct’18), then declining to trend growth in next month (Nov’18) and again jumping in the next month (Dec’18) seems bizarre. We need to observe this trend as Rural Core. In the past, Rural and Urban Core have moved in opposite directions on only two occasions and such period of recurrence was 4-5 months. By this logic, any upward movement in core rural CPI beyond January’19 would mean a decisive structural break / data issues? Data collection changes the primary reason? We understand there is a change in methodology in terms of data collection in rural areas where, as against the earlier practice of collecting data through Post Offices, the NSSO is now collecting data itself. There are about 100 Regional Offices of NSSO, which collect the data. The data collection process, hitherto, restricted to urban centres has now been extended w.e.f Sep’ 18 to the rural centres also. We believe, this additional work with the same set-up would take some time to stabilize and this may be one of the reasons for the observed aberrations in the data. Also the earlier rural data collected by post offices used to be validated. Now because NSSO is collecting data itself, it is possible that there may be absence of self validation, thereby leading to data discrepancies. There may also be changes in the specifications of a product, which might be causing changes in numbers. For instance, over a period, revised version of the same product is launched in the market with a higher price tag. In the absence of any change in specification the new product will be compared with the earlier one resulting in an increase in price of the same product. This possibility cannot be ignored. Ayushman bharat - a possible reason for higher medicine prices? Centrally Sponsored Ayushman Bharat anchored in the MoHFW, was launched in Sep’18. When we compare CPI data for Sep’18 and Dec’18, we see that there is a steep increase in Rural Health Inflation in states where the scheme has been implemented with Government support. The increase is quite evident in case of states such as Bihar, Haryana, Madhya Pradesh and Uttar Pradesh etc. However, there is no clear trend for other components. In case of rural education inflation, few states including West Bengal, Himachal Pradesh and Kerala, have seen drastic increase. It may be noted that states where education is witnessing an increase as per NSSO survey (71st Round) at all-India level, more number of students were taking private coaching with concentration in eastern states like West Bengal. This implies that the new data collection methodology might also be resulting in better price discovery that was hitherto absent. Automobile sales growth has been continuously slowing down over the past three months which has declined to 19.9 lakh in Dec’18 from 29.9 lakh in Sep’18, despite attractive discounts offered by Auto-companies during the festive season. If we look at the m-o-m growth, we can see that there is 16 per cent decline in total vehicle sales in Dec’18 over previous month. The same has been reflected in the vehicle registration data which has come down to 14.7 lakh in Dec’18 from previous month of 18.8 lakh. The slowdown is broad-based with sub-components like passenger and medium and heavy commercial vehicles in fact registering de-growth in December over previous month. On Y-o-Y basis, the total sales of vehicle has declined by 2 per cent. Among the sub-components, there is a significant decline in sales and registration of two-wheelers which further suggests rural sentiments are quite low in the past several months due to falling rural demand led by low farm income. However, on Y-o-Y basis the sales of two wheelers growth is showing a marginal improvement while all other components shows a declining trend.